Recent News Archives - ABEX Affiliated Brokers Exchange Inc.
We are moving! 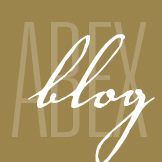 ABEX office will be closing at 12:00 p.m. EST on Friday, March 29 for relocation. We will not have access to our phones or systems during the move. We will resume our regular business hours of 8:30 a.m. – 5:00 p.m. EST, on Monday, April 1. Our telephone, fax number, email addresses and all other contact details remain unchanged. We thank you for your patience while we’re making the transition to our new space! Canada is making good progress on a national flood program, pending a final decision by federal, provincial and territorial (FPT) ministers responsible for emergency management. Deployment of a high-risk pool analogous to Flood Re in the United Kingdom. A final decision will be made by ministers after the high-risk pool is costed, which Stewart expects to be completed by June. Decisions on eligibility, how to capitalize the pool, and on any cross-subsidization await the results of that costing analysis. In early 2020, there will be the launch of a consumer-facing flood risk portal. IBC has been working with the federal government to develop the authoritative flood portal, where consumers can discover their risks and what to do about them. In May 2018, FPT ministers responsible for emergency management tasked IBC to lead the development of options to improve financial outcomes of those Canadians at highest risk of flooding. IBC worked with a wide range of insurers, government experts, academics and non-governmental organizations to produce the three options, which were tabled with ministers last week. The ministers released the first-ever Emergency Management Strategy for Canada: Toward a Resilient 2030 on Jan. 25. The document provides a road map to strengthen Canada’s ability to better prevent, prepare for, respond to, and recover from disasters. “In less than two years, Canadian insurers have secured a mandate with every province and territory to finalize development of a national flood insurance solution, have successfully catalyzed a national approach to flood risk information, have secured over two billion dollars in funding for flood mitigation, and have succeeded in securing a funded commitment for a national flood risk portal,” Stewart said. On Nov. 1, 2018, Bill 113, the Police Record Checks Reform Act, 2015, came into force in Ontario. Among other things, Bill 113 (the Act) standardizes the process for conducting police record checks, including checks requested by employers when screening an individual for employment purposes. The Act also limits the type of information that may be disclosed in response to a check. These new changes could have a direct effect on employers, so it’s important to have a basic understanding of the Act. Specifies the type of information that can be disclosed in a record check—Bill 113 allows for the disclosure of certain types of information in relation to each type of check. However, Bill 113 only permits the disclosure of non-conviction information in response to a vulnerable sector check, provided the information satisfies the prescribed criteria for “exceptional disclosure.” Non-conviction information refers to details in instances where an individual was charged with a criminal offence, but the charge was dismissed, withdrawn, or resulted in a stay of proceedings or an acquittal. In the past, when potential employers carried out a police record check, they could receive a variety of non-conviction information, such as records of mental health detentions, complaints where charges were never laid, withdrawn charges and acquittals. This is no longer the case. Limits the use of information—Bill 113 prevents individuals and organizations from disclosing the results of a check. However, information may be disclosed should it be requested or authorized by law. Employers will no longer be able to obtain non-conviction information, unless the employer conducts a vulnerable sector check and the criteria for exceptional disclosure has been met. Employers may not use or disclose the results of the check, unless it is requested or authorized by law. Individuals being screened will be able to control the type of information disclosed. Written consent for checks must specify the type of check that the individual is consenting to. If a police record check is necessary, an employer will need to prepare for potential delays in obtaining the required information during the recruitment process. Employers must take their Human Rights Code obligations into consideration when requesting or performing police record checks. To learn more about Bill 113, employers should visit the government’s official page on police record checks. While the medicinal use of marijuana has been permissible in Canada for some time, the Cannabis Act legalized the drug for recreational use nationwide as of Oct. 17, 2018. Also known as Bill C-45, this federal law is designed to establish a regulatory framework, particularly as it relates to the production, distribution, sale, cultivation and possession of cannabis across Canada. Usage and growing limits—Those who are 18 years of age or older will be allowed to buy and grow a limited quantity of marijuana for personal use. Specifically, those of age can possess up to 30 grams of dried cannabis in public, share up to 30 grams of dried marijuana with other adults, and buy cannabis or cannabis oil from a provincially regulated retailer. Criminal offences—The Cannabis Act will ticket individuals who exceed possession limits, enforce up to 14 years in jail for an illegal distribution or sale, and impose tough new penalties of up to 14 years in jail for those that give or sell marijuana to minors. Provincial involvement—Under the Cannabis Act, the provinces and territories will authorize and oversee the distribution and sale of cannabis, which will be subject to minimum federal requirements. In areas where there is no regulated retail framework, individuals would be able to purchase cannabis online from a federally licensed producer via secure home delivery. While it is uncertain how much the legalization of recreational marijuana will impact the workplace, it will likely have a direct effect on workplace health and safety, the use of motor vehicles for work purposes, the scope and type of disciplinary procedures, work performance and work attendance. Review and understand cannabis legislation and guidelines that apply to the provinces in which they operate. Review and amend existing workplace policies and procedures as needed. Provide copies of these policies to all employees. Conduct a hazard and job-safety assessment. Hold training sessions for all employees and managers. Train management on how to identify signs of impairment and how to respond appropriately. Addressing substance use and impairment in the workplace is a complex process. Employers are expected to establish policies and procedures for managing impairment and to do so in a confidential and empathic manner. In addition, if accommodations are necessary, employers must work alongside employees and medical professionals to ensure a collaborative, safe and healthy workplace. This is a lot of responsibility, and it can be difficult to know where to turn to for supplemental information and assistance. In addition to seeking the advice of qualified legal professionals, your insurance broker can be an invaluable resource. Contact your insurance broker today to learn more. On Nov. 22, 2017, the Government of Ontario passed Bill 148, the Fair Workplaces, Better Jobs Act, 2017 (Bill 148). Bill 148 made significant amendments to Ontario’s Employment Standards Act, 2000 (ESA) and Labour Relations Act, 1995 (LRA). Among other changes, Bill 148 raised the minimum wage, mandated equal pay for part-time, temporary, casual and seasonal employees doing the same job as full-time employees, and expanded job-protected leaves for employees throughout the province. However, on Oct. 23, 2018, the Ontario government—under a new regime—introduced Bill 47, Making Ontario Open for Business Act, 2018 (Bill 47), which would repeal many of the changes established by Bill 148. The government hopes that, by removing certain statutory obligations of Bill 148, Bill 47 will reduce the burden on employers and bring jobs back to Ontario. Minimum wage—Minimum wage will remain at $14.00 per hour, at least until October 2020. From there, any increases will be tied to inflation. Misclassification—Under Bill 148, a reverse onus was placed on employers during disputes over employment classification. This meant that it was up to employers to prove whether an individual was an employee or an independent contractor during any given dispute. Bill 47 would eliminate that onus for employers, instead shifting the burden of proof to the individual. Equal pay for equal work—Bill 47 would eliminate the equal pay provisions of the ESA that give part-time, casual, temporary and assignment employee status workers (temporary help agency status) the same entitlements as full-time, permanent workers. This would effectively remove the definition of “difference in employment status” from the ESA. Penalties for contravention—Bill 47 would reduce maximum administrative penalties for violations of the ESA from $350/$700/$1,500 to $250/$500/$1,000, respectively. Card-based certification—Bill 47 would give workers the right to vote via a secret ballot by repealing card-based certification on workers in home care, building services and temporary help agencies. Employee lists—Bill 47 would repeal rules that require employers to share their employees’ personal information to unions. Remedial certification—Bill 47 would reinstate pre-Bill 148 test and preconditions for the Ontario Labour Relations Board (OLRB) to certify a union as remedy for employer misconduct. The OLRB would also be required to determine whether a vote or new vote would be a sufficient remedy, or whether certification of the union would be the only sufficient remedy. Successor rights—Under Bill 47 changes, successor rights in contract tendering for publicly funded services would no longer apply. Structure of bargaining units—Bill 47 would repeal the power of the OLRB to review and consolidate newly certified bargaining units with existing bargaining units. Under the new rules, the OLRB would instead be empowered to review the structure of bargaining units where the existing bargaining units are no longer appropriate for collective bargaining. Return-to-work rights—Bill 47 would change return-to-work rights back to what they were prior to Bill 148. Specifically, an employee’s right to reinstatement following the start of a strike or lockout would be reduced to six months. First collective agreements/mediation and mediation-arbitration—The mediation, mediation-arbitration and educational-support provisions relating to first collective agreements would be repealed under Bill 47. Instead, pre-Bill 148 conditions related to the access of first agreement arbitration would be implemented. Fines—Bill 47 would reinstate previous maximum fines for offences under the LRA. As a result, fines would decrease from $5,000 to $2,000 for individuals and $100,000 to $25,000 for organizations. For the time being, employers should wait to update their policies and practices to reflect the changes proposed by Bill 47. Even if Bill 47 comes into force, employers are advised to seek the help of legal counsel before altering workplace practices. To read the proposed changes in full, click here. © Zywave, Inc. All rights reserved. Receive notifications of new posts automatically. ABEX - AFFILIATED BROKERS EXCHANGE IS ON FACEBOOK.